Good afternoon bloggers, I hope you are enjoying the Bank Holiday weekend, even if the weather isn't fantastic. 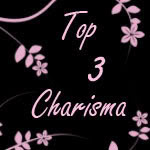 Yesterday I entered my first challenge over at Less is more and I was absolutely overwhelmed by the responses I got. I was initially quite nervous, but all of the lovely feedback from everyone has sparked my interest in challenges now and the pick a square challenge was so inspirational that I made another card. 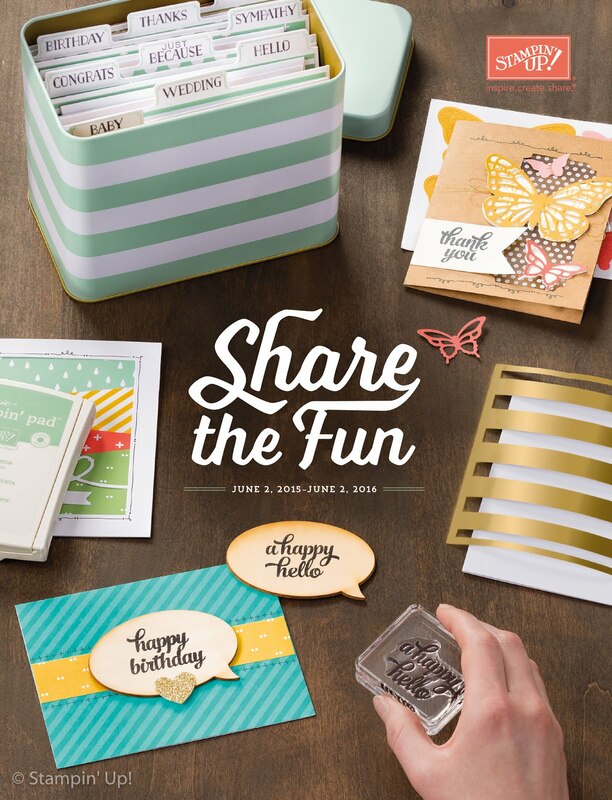 There is also a fantastic Stampin' Up challenge blog you should check out. The creations that the design team come up with are stunning, and it is a lovely way to see how other people use their Stampin' Up supplies. This week's challenge is floral frenzy so you are sure to see a wealth of ideas. 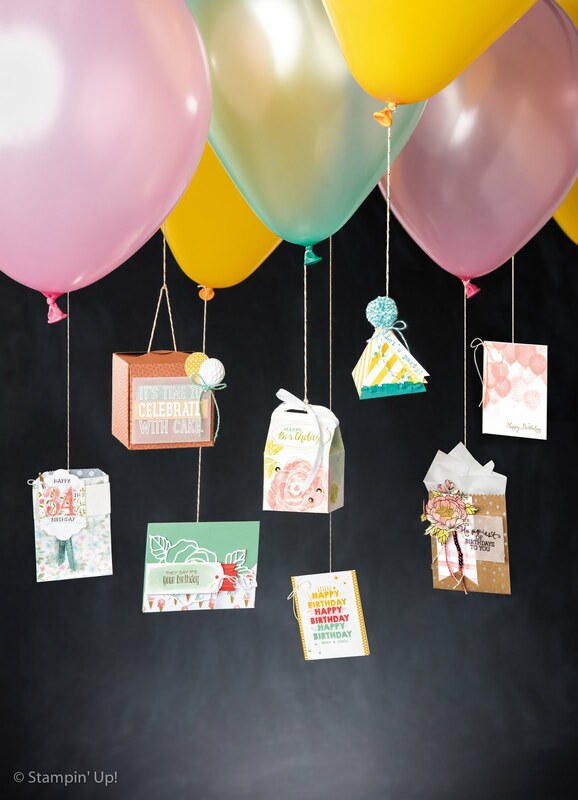 I got Itty Bitty Bits at the Stampin' Up regional training ( just another advantage to being a demonstrator) and I immediately bought the Itty Bitty Shapes punches pack. At £15.50 for three punches which coordinate perfectly with the images in the stamp set, it is a bargain. It also means that for under £25 you can buy the clear stamp set and the punches! This card was made by stamping the eight petal flower stamp onto Whisper White card stock using Baja Breeze and Rose Red ink. I then used the coordinating punch to quickly punch out the images and set them out on a square of Basic Grey card stock. Once the pieces were in place I punched through the centre of the Baja Breeze flowers with my pricking tool to hold those in place and make it easier to put the white brads from the neutrals collection through the middle. I then matted the grey square on to a piece of Rose Red card stock and places it in the centre of the 5 inches by 5 inches Whisper White card stock. I hope you enjoy it, and I hope you come back tomorrow for a week of "Because I care". This is just FAB Claire, I love the colours you have used. I have this set bt not used it yet..shameful! 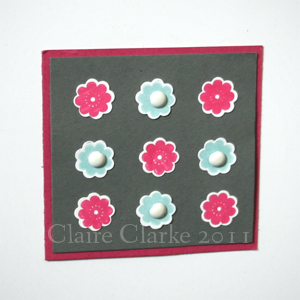 These lovely little flowers are so cute - great colours, classic position - wonderful card! Really lovely card, very sweet flowers and such pretty colours. I have this set but haven't used it yet, did you get the matching buttons too? they are super cute! This is lovely Claire, I'm so pleased that you are enjoying entering our challenges. I do hope that you will also enjoy visiting other participants and making some new friends from amongst them. Thanks so much for another fabulous submission. This is a gorgeous card - simple but very stylish and effective. Very pretty...great layout..and love the bright colors! Fab card, bright and pretty and dramatic too !